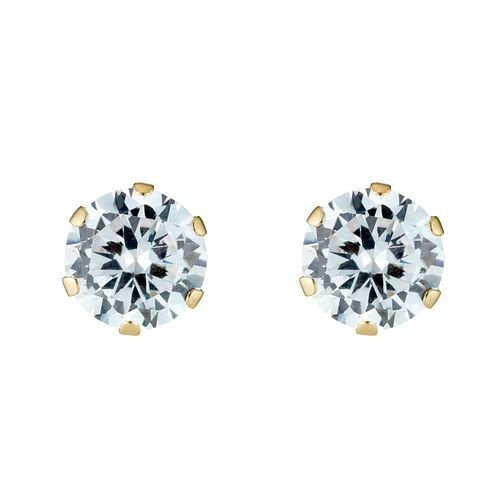 Sweet and simple, these 5mm round cubic zirconia stud earrings will sparkle for every occasion. Claw-set in 9ct gold, they are a timeless jewellery essential. 9ct Gold Cubic Zirconia Stud Earrings is rated 4.4 out of 5 by 5. Rated 5 out of 5 by Anonymous from Good quality Slightly larger than expected but I guess that’s what you get for online shopping. Delivered in time and of good quality.